ASE is not only recommended as an anti-inflammatory and pain reliever, but also for its potential to help reduce cholesterol, support heart health, and boost the immune response. If you need an anti-inflammatory, ASE may well be the powerful all-natural option. Heralded for its ability to act quickly, ASE is not only recommended as an anti-inflammatory and pain reliever, but also for its potential to help reduce cholesterol, support heart health, and boost the immune response. ASE is a unique combination of enzymes which work synergistically together. 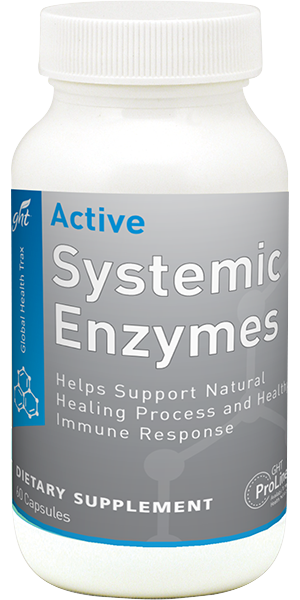 Peptizyme: Also known as Serratia peptidase, this purified enzyme works in the body as an anti-inflammatory for the sinus areas, swelling after surgery and offers support to external wounds. Bromelain: A mixture of protein-digesting enzymes found in pineapples (Ananas comosus), contains active substances that aid digestion and may help reduce inflammation. Bromelain is particularly effective for the relief of inflammation associated with infection and physical injuries. Papain: May help support ulcers, the breakdown of membranes in diphtheria, the reduction of swelling and assist fever and adhesions after surgery. Amla: Useful for stomach problems, as an antipyretic hair tonic and nerve-brain tonic. It is also useful in anemia, hyperacidity and in gynecological problems. Rutin: A flavanoid which supports health by strengthening capillaries and other connective tissue, and some function as an anti-inflammatory. 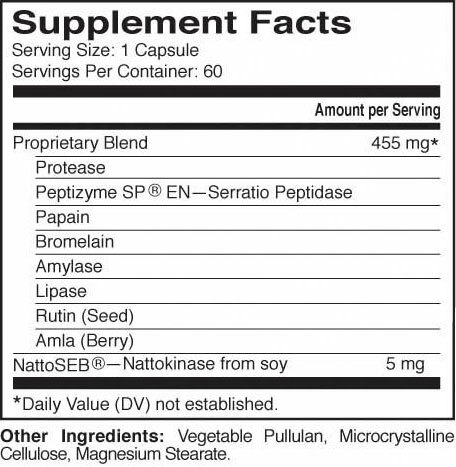 NattoSeb: A powerful anti-oxidant assistant, blood pressure regulator for healthy bodies and useful for overall normal healthy cardiovascular support.